This insulated mug with its sober lines (0.35 litres) is the ideal solution to keep your hot or cold drinks to hand! 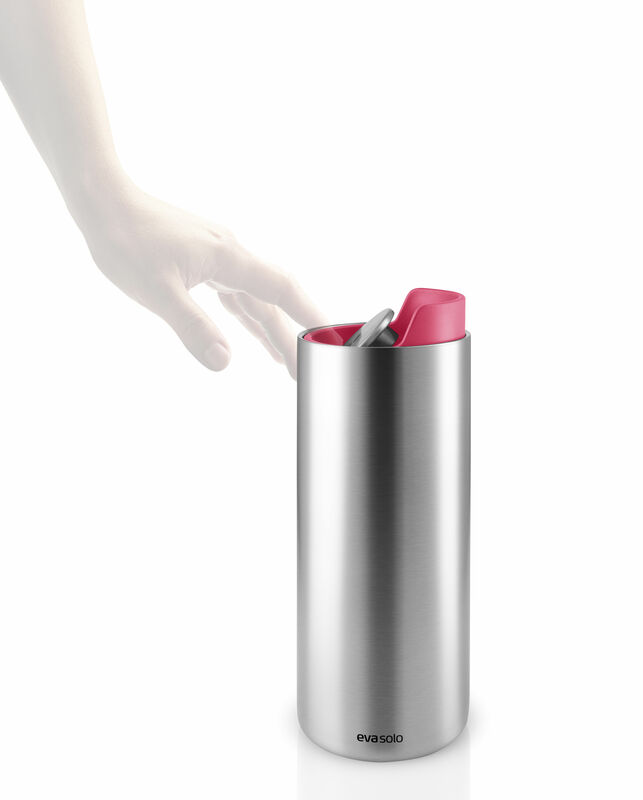 You're going to the office, heading off on a stroll or going for a jog... Don’t worry: this compact, insulated mug slips into any bag and lets you enjoy a nice hot coffee at any time or a fresh lemonade! Perfect for modern adventurers! The double stainless steel wall keeps your drinks at the right temperature for longer. 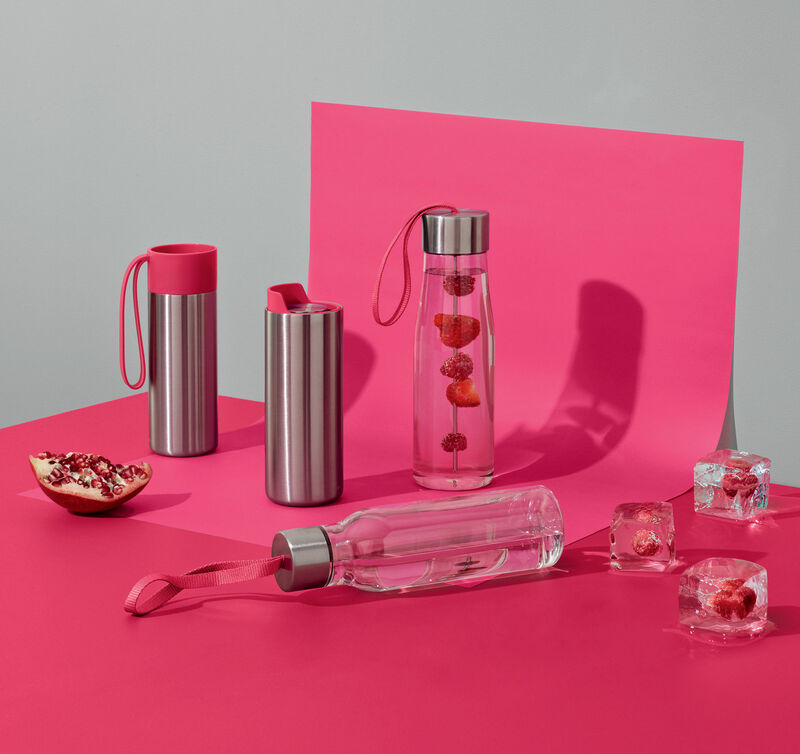 The plastic stopper ensures perfect watertightness while being very easy to remove and put back again: it screws onto the thermos very easily. 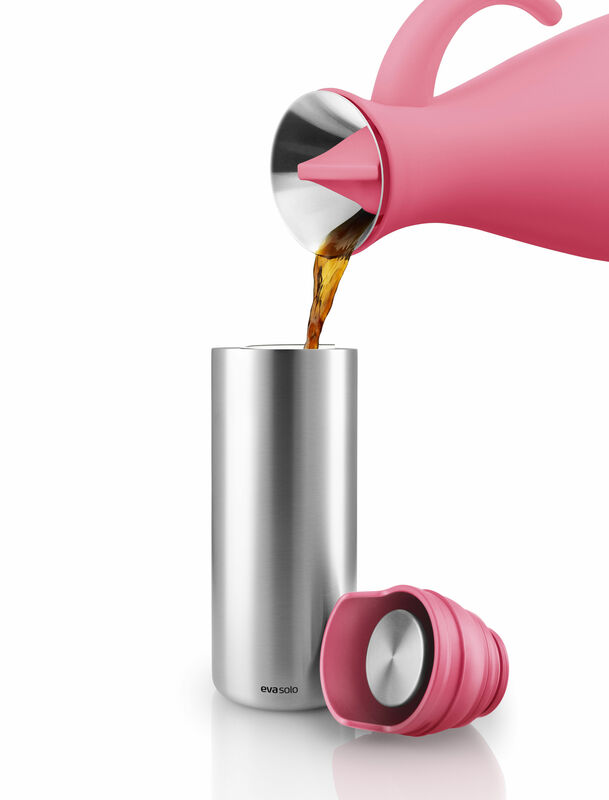 Once in place, a simple click of the lid button lets you drink from it! We appreciate its metal, very modern look and its functional design. It is an easy-maintenance mug and is dishwasher-safe.